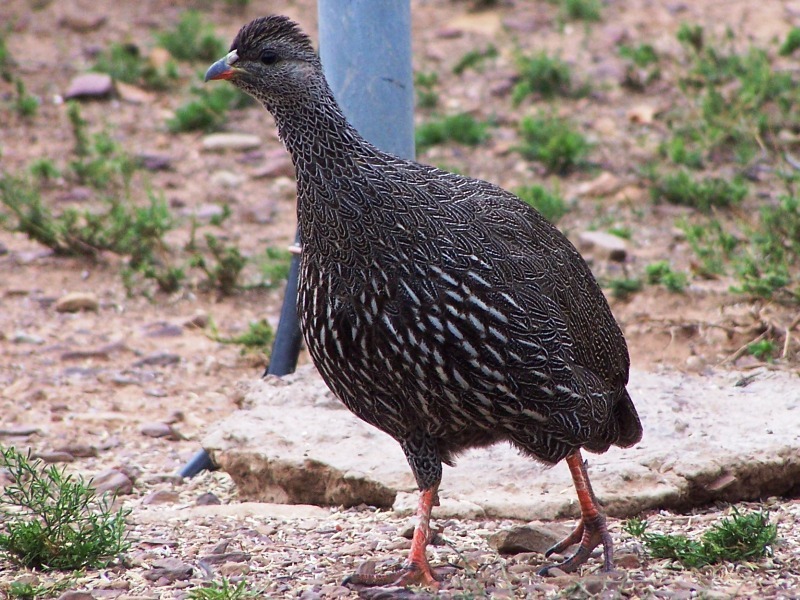 Of the approximately 900 bird species found in Southern Africa, about 690 are land birds. Most of the remaining species (about 160) are dependent on inland water, with the balance (about 50) dependent on ocean water. Every species has its own unique habitat requirements. 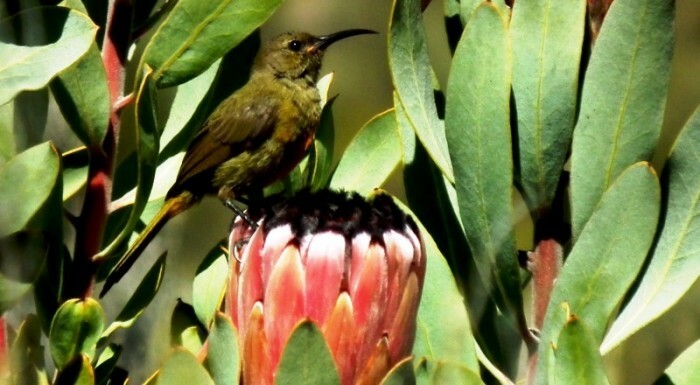 In the sparsely covered stunted vegetation, many endemic Karoo birds can be found. The stands of acacia thorn trees along the southern Elandskloof watercourse, is another important habitat providing birds with shelter from cold winter weather. In summer, the abundant yellow flowers of the acacias attract insects, which in turn are a valuable food source for many birds. Surface water is scarce in summer, but the small dams and watercourse seepages are always worth checking for vagrant birds. The dawn chorus of Karoo Eremomela calls is often heard early in the morning, about thirty minutes before sunrise. However, as the condition of the veld deteriorates, they usually move off to greener pastures. Twelve species of sandgrouse occur in Africa with the Namaqua Sandgrouse the only species appearing here. Being seed specialists, these birds consume between 5.000 and 80.000 seeds a day, depending on the seed size. They therefore spend most of the day on their feet searching for seeds. The Sandgrouse, like the Ostrich, needs a certain quantity of pebbles and grit in its diet to assist with digestion. The Witteberg area has unusually large and diverse populations of predators such as snakes, mongooses and other larger mammals. 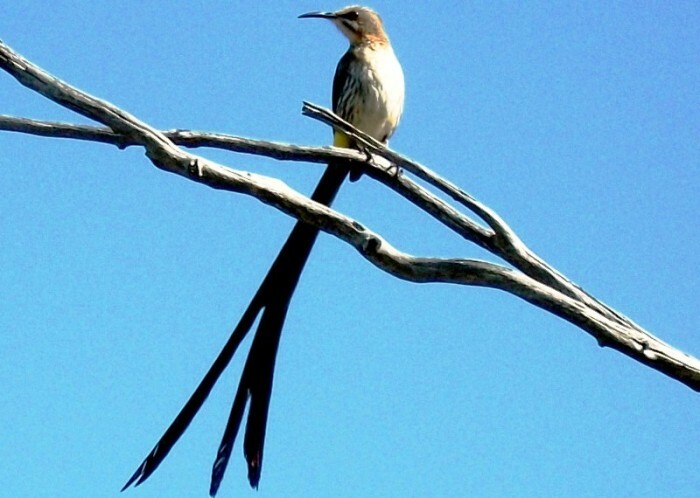 Many – especially boomslang – are a serious threat to birds, their eggs and chicks. 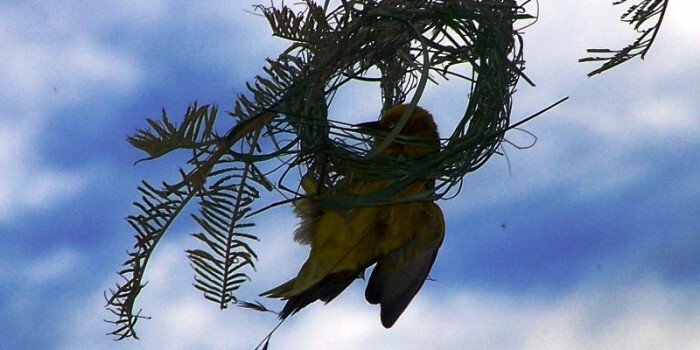 The Namaqua Sandgrouse loses over 90% of its nests to predators. The Lark-like Bunting, a nomadic bird, also fares badly at predator avoidance, losing up to 95% of its nests. With extreme selection pressure on birds in this habitat, many have evolved intriguing behaviours in an effort to reduce their vulnerability. The Double-banded Courser rates as a champion of predator avoidance, laying a single egg on bare ground resulting in the predator being more visible to the incubating bird, which can then run away long before the predator can get near to its well-camouflaged egg. The incubating bird’s partner also assists by loitering near the egg and warning the sitting bird of approaching predators. As a result, only 20% of the Double-banded Courser’s eggs are lost to predators. Mousebirds are intriguing creatures with peculiar behaviour and physiology not generally known. The White-backed Mousebird is extremely well adapted to survive in harsh environments with extreme temperatures. Their low metabolism conserves energy and allows them to feed on foods of low nutritional value, such as Acacia thorn tree leaves. Much of their energy economy is from their ability to lower body temperature at night to about 26oC from the daytime norm of 40oC. Huddling together at night in clusters of up to 15 birds reduces heat-loss by up to 50%. They also conserve energy in the day by sunbathing to allow their dark skins to absorb solar radiation to help regulate their body temperature. They do this by hanging with their bellies facing the sun and their feathers erect to maximise body exposure and radiation absorption. The Cape White-eye shows marked colour differences throughout its range. Often found in gardens, they eat fruit and nectar, their brush-tipped tongues ideal for nectar. They compensate for their short beaks by piercing the bases of long narrow flowers to get to the nectar. This temporarily dyes them the colour of the flowers they have been piercing and confuses birders. Heard more often than seen, their acrobatics are a treat. They imitate the songs of others, so do not be mislead when you hear a European Bee-eater or Diederik Cuckoo – it could just be a Cape White-eye! About 70 of the world’s 90 lark species occur in Africa, with 45+ species endemic to north-eastern and south-western Africa. An alarming 20% of Africa’s larks are considered threatened, mainly due to agricultural practices and poor management of the sensitive arid areas in which they exist. The raptor population of the Klein Karoo has been decimated over the years, but there are several birds of prey to be seen in the reserve. Verreaux’s Eagles, Jackal Buzzards, Southern Pale Chanting Goshawks and Rock Kestrels all breed in the reserve. Verreaux’s Eagles are but one of the 22 eagle species found in Africa. They exactly fit the image that most people have of eagles – big, powerful-looking birds with a two-metre wingspan. Their typical habitat consists of a patchwork of rocky outcrops or mountainous terrain with steep cliffs for safe nesting sites. In addition to a suitable nesting site, their second primary need is prey in the form of hyraxes (dassies), found in abundance in the reserve. At least one pair of Verreaux’s Eagles is breeding in the reserve. Adults live in pairs and are often seen soaring together high in the sky. Each pair requires between ten and fifteen km2 of suitable habitat. Once paired, they live very sedentary lives and won’t migrate without good reason. Cape Bulbuls are generalist feeders and virtually omnivorous. They enjoy fruit, but also take nectar and a variety of invertebrates such as snails, beetles, caterpillars and termites. Mate fidelity is strong so they are usually seen in pairs or in family groups of three or four after breeding. They are quick to scold a snake, cat, owl or other stranger or predator and often assemble to form a mobbing party. They make a good deal of fuss at roosting time and are the first to call at dawn, reminding one that they are present in the reserve. The Common Fiscal is a solitary, sit-and-wait hunter, favouring vantage points a metre or two above the ground from where it can best spot prey. Its prey consists mostly of insects, but also small vertebrates such as mice. They impale some of their prey on thorns, sticks or barbed wire fences, which has resulted in their reputation as ruthless killers. The reason for this behaviour seems to be twofold, namely to store food for times of scarcity and for males to advertise their fitness to potential partners. The Common Fiscal is a territorial bird with pairs often holding a territory throughout the year. The main reason for holding territories is to monopolise resources such as food, mating partners and nesting sites. Cape Sparrows are always easy to identify by their messy nests, often built in acacia thorn trees along the watercourses. On closer inspection of their nests, one realises that every part is designed for flexibility, interlocking projections, softness, colour and even aroma. With a wide variety of materials to choose from for nest building, they seem to intentionally select fresh leaves and twigs of relatively uncommon, aromatic herbal plants. Although still being studied and debated, it seems that the aromatic materials are used with a purpose. 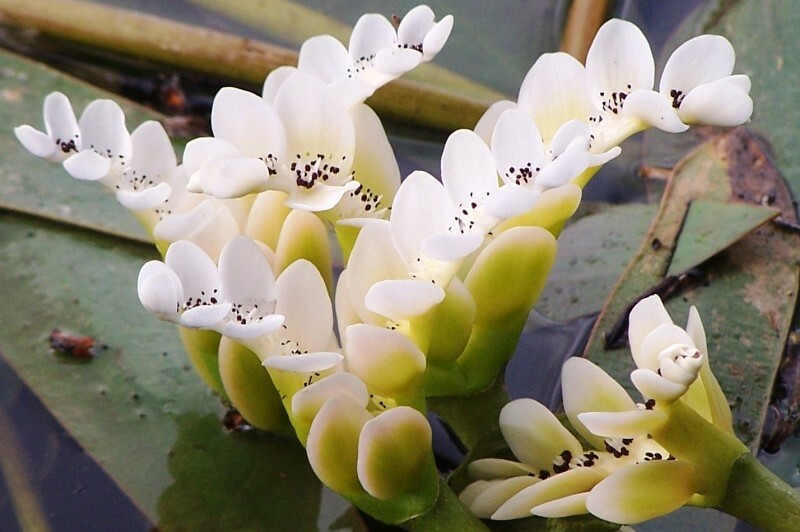 The antibiotic and anti-fungal properties of these herbal plants are probably valued for parasite control, disinfecting the nest and for the health of fledglings through improved immunity. It is thus quite likely that Cape Sparrows are already using plants for medicinal purposes, much of which still has to be discovered by mankind for human medicine.